I have an f2.8 100mm macro lens, and finally a camera body to put it on, a Canon Xsi. To check out the new camera, I handheld this photo in my kitchen under artificial light. I liked the result of the experiment enough to show it here. The whole tentacle is much smaller than a letter on a dime. The red gland in the center of the sticky end of the tentacle is so small I can't see it without a magnifying glass. 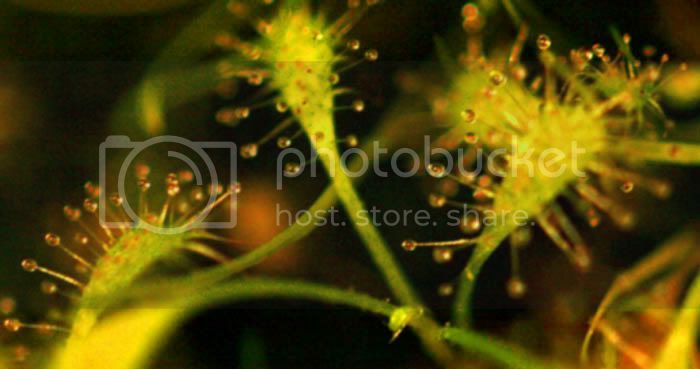 A sundew is a carnivorous plant with sticky tentacles for catching prey. 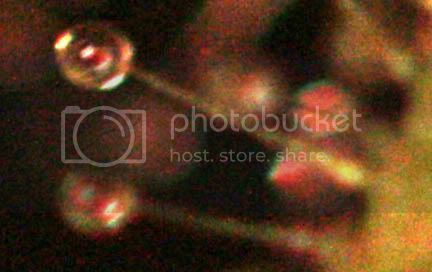 It is so called because the tentacles sparkle like dew when the sun catches them.